Many golf courses throughout the world require golfers to provide evidence of their golfing ability before they will allow them onto the golf course. This is particularly true in Spain and Portugal. 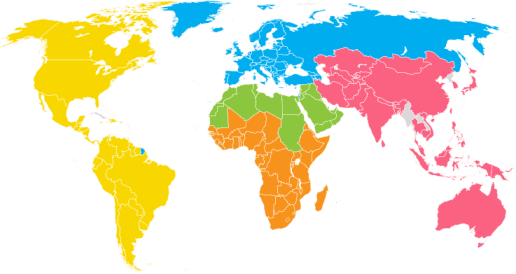 Our golf handicap card is accepted worldwide. Need your golf handicap card quickly? At My Online Golf Club we offer a fast track service for those that need to receive their handicap card in a hurry. 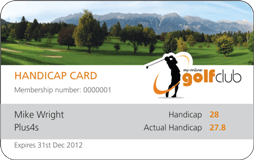 You can fast track the processing and delivery of your handicap card for only £3.50. All golfers want to improve their game but most don't know where to start. 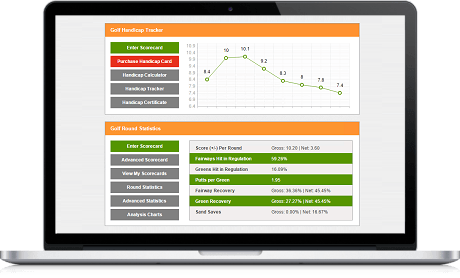 Using our statistics and tracking you can easily identify the weakest parts of your game. Start tracking your strokes with My Online Golf Club. "Brilliant service. Couldn't have been more helpful." "Loving your work at MOGC. Keep it up." "Getting a golf handicap couldn't be easier." "Thanks for sending my golf handicap card so quickly." A golf handicap is a measure of an amateur player’s ability to play golf. In short, a golf handicap is calculated as the average number of strokes above par a player is likely to score for any given round. Upon completion of a round of golf, each player subtracts their individual golf handicap from their score, resulting in a net score. This system allows golfer of differing degrees of skill to compete against each other. Why wait until you get home to enter your scorecard. Using our mobile site you can do it hole-by-hole whilst out on the golf course. Visit mobile.myonlinegolfclub.com from your mobile phone to enter your scores.